Weighing in at 236g, less truly is more with the Porlex Mini Grinder. It’s narrow cylindrical shape fits beautifully in your hand, allowing you grind in a very natural motion. The lid prevents beans from flying all over the place, which keeps grinding neat and tidy. The adjustable conical ceramic burr delivers great grind consistency, and can even grind as fine as espresso. Porlex mini grinds a max of 22g-25g of coffee, which covers the bases for most single cup alternative brew recipes, and the adjustments are really well weighted increments to keep things pretty simple. 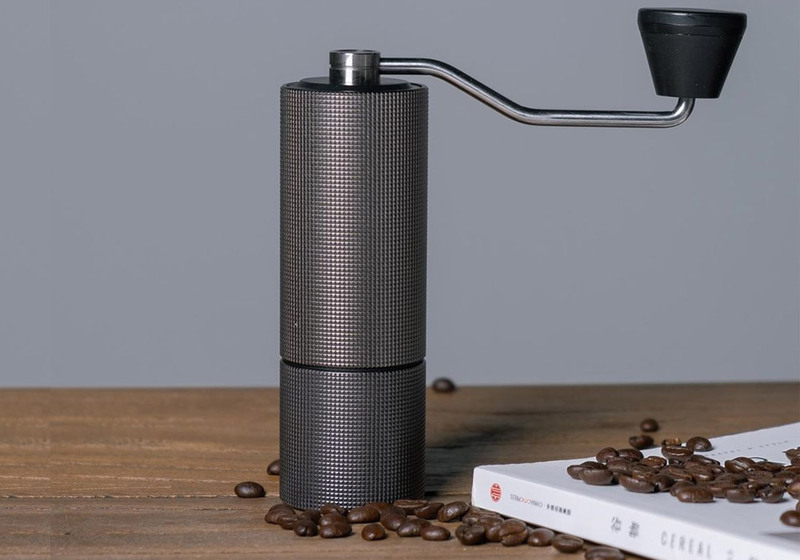 The stainless steel casing provides a nice tough exterior, and it fits snugly into the infamous AeroPress, making it a perfect rough and ready travel partner. Its easy to adjust by simply turning the turn key underneath.